With a bit of preparation and research you can plan a fantastic Myrtle Beach golf vacation. With more than 100 golf courses in the area and innumerable vacation rentals available in Myrtle Beach planning the perfect golf retreat can easily be accomplished. After you have made the first step, deciding to head to Myrtle Beach and setting the date for your getaway, just a little bit of research will allow you to make the decisions to enhance your time spent in Myrtle Beach. There are two major decisions that you will need to make about your golf vacation. The first will be where you are going to stay. The Grand Stand has more than 60,000 vacation units and choosing one could be a daunting task however Elliott Beach Rentals can simplify the process for you. Remove the stress from your decision by visiting their Web site, www.elliottbeachrentals.com, and customizing your accommodation search to fit your needs. If you need the help of a live person you can call the toll free number. With more than 50 years of experience helping vacationers plan the perfect vacation Elliott Realty will have all the information you need about the area to help you make the right decisions for your group. The next and perhaps more important decision will be which of the more than 100 golf courses that the Grand Strand boasts do you want to visit. Myrtle Beach has golf courses suitable for players of every skill level. Among these courses you can find championship, challenging or picturesque courses and perhaps some that fit all three categories. Researching more than 100 courses might seem impossible but luckily there are online sources that offer information on preferred golf courses where you can browse the Myrtle Beach courses. MyrtleBeachTeeTimesNow.com not only has a database of golf courses but this site will make scheduling tee times simple. You can book your tee times 48 hours in advance at a reduced rate. So not only can you choose the courses that will suit you best you can also save money as you do it. There is an additional way to plan your Myrtle Beach golf vacation and simplify both of these processes. If you book a golf package you can have a golf retreat customized to your specifications. 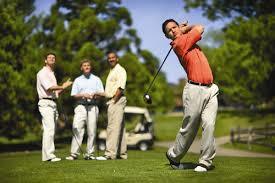 The premiere source for booking a golf package is the Myrtle Beach Golf Authority. With access to more than 300 rental units and the more than 100 area golf courses the experts working for the Myrtle Beach Golf Authority can book just the right accommodations and tee times that you want. Planning a golf trip to the Seaside Golf Capital of the World may seem like an intimidating process but with just a little effort you can arrange an amazing golf retreat. All you need to do is to pick a date, decide what type of accommodations you desire and which golf courses you want to play. The resources available to golfers wishing to visit Myrtle Beach will make the process so simply you will even have time to decide what to do with those rare moments when you aren’t out enjoying one of the amazing golf courses that the Grand Strand offers. With a bit of preparation and research you can plan a fantastic Myrtle Beach golf vacation.